This beautiful puzzle shows the celebration that must have happened on Noah's Ark after the dove came back with an olive branch. 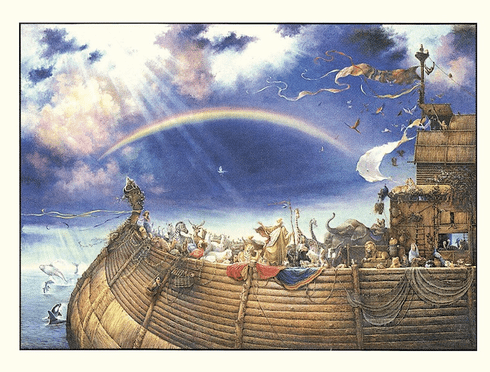 Celebrate with Noah by putting together this 1500 piece puzzle. It measures 24"X33". This puzzle is Eco-Friendly and printed with Soy-Based Inks on Recycled Board. Proudly made in the USA.